As a parent there is really is no time off, so I try to soak in whatever time I do get to relax. With the weekend coming this means less running around and a chance to relax with a good book and a home spa treatment (or two!). 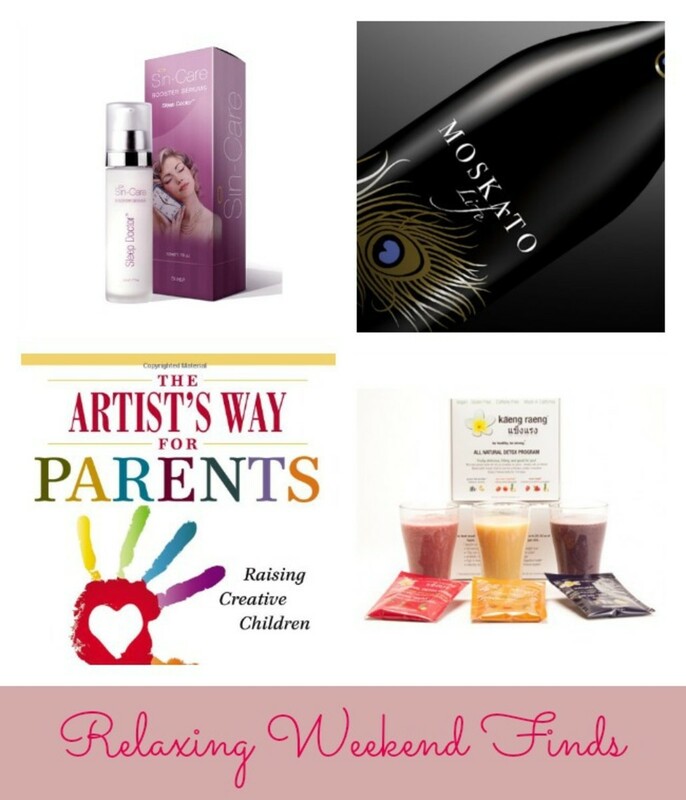 Here are some of my favorites ways to do just that this weekend. 1. The Artists Way for Parents: Books are a great way to relax and disconnect from the online world. Recently I have been reading The Artists Way by popular author, Julia Cameron. Through this book, I have been loving her ongoing inspirational and spiritual toolkit that parents can enterand re-enterat any pace and at any point in their childs years. According to Cameron: Every child is creative and every parent is creative. Your child requires joy, and exercising creativity, both independently and together, makes for a happy and fulfilling family life. Focusing on parents and their children from birth to age twelve, The Artists Way for Parents builds on the foundation of The Artists Way and shares it with the next generation. We love the books for its practical exercises that is sure to spark innovation, curiosity and connection as well as helps parents to live a creative life through self-awareness. 2. Kaeng Raeng: As moms our weeks can be super busy where we many not always eat out best. Over the weekend, we have been trying out Kaeng Raeng, a vegan, gluten free, caffeine free program that simply replaces one meal with a liquid of your choice, and frozen fruit, veggies or ice. This is not a cleanse so you can still eat all the raw fruit and veggies you want during the cleanse. Kaeng Raeng is a great alternative to pricey juice fasts; our cleanse programs start at just $17 per day. It is also a great source of fiber, protein, probiotic cultures, and daily vitamins that also happens to be all natural with no artificial ingredients, no laxatives, and no stimulants. Available in three delicious flavors: "into the blue" blueberry, banana; "joyful" strawberry, raspberry, pineapple; and "daybreak" mango, peach, pineapple, I love having this as a light breakfast or lunch before a big family meal on the weekend. 3. Moskato Life: Cheers to the weekend! One brand that we are really excited about is Moskato Life. Dubbed as not-your-ordinary adult beverage, Moskato Life features an unique combination of light carbonation and sweetness offering prestige, beauty, and opulence without the high price tag. It is also available in two distinct flavors  Original and Rose -that is perfect to kick-back and enjoy the weekend or as a great hostess gift for the holidays. Be sure to check them out on Facebook and Twitter for more information, recipes, promotions, and more. 4. Sin-Care: While it isn&apos;t always easy, sleep is the most relaxing way to rest and regroup. This is also a time when the skin recovers from the wear and tear of the day. One of my favorite ways to relax is to apply Sin-Care, the world&apos;s first serum that addresses skin aging from a lifestyle rather than a chronological perspective, to my face. Targeting the fatigue of the skin, Sin-Care Doctor Booster Serum is a concentrated formula that boost the radiance in your skin while also reducing puffiness and dullness. Personally, I love how this works for my sensitive skin-type as it works to plump the skin and nourish it. I wake up revitalized as it also counteracts stress and helps to minimize fine lines. Made in Australia, this is one product that is definitely a staple to my weekend relaxation.